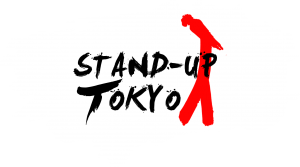 Our flagship Tokyo comedy show, all in English every Wednesday; featuring some of the best of Tokyo’s comedy talent as well as up-and-coming stars. We’re here to make you laugh with a skewed look at life in Japan, and an international perspective seen from the eyes of comedians hailing from every corner of the world. When you go to watch a Stand Up Tokyo comedy show, you get all this and more! This week our headliners are LA based comedians JC Coccoli and Lindsay Ames! JC Coccoli is Earth’s fiercest comedy darling. Equal parts explosive and mindful, her comedy is engaging, cry your eyes out funny, and comes from the heart. She has done comedy at San Francisco Sketch fest, Boston Comedy festival, NY Comedy festival, SXSW, Bonnaroo, Comic Con, Coachella, Copenhagen, and the Melbourne International Comedy Festival. Her TV appearances include Comedy Central’s Key and Peele, WHY? with Hannibal Buress, Chelsea Lately, and Last Comic Standing season 8. Lindsay Ames is an award winning comedian, international food writer, producer and emotional eater. Her monthly hit show “My Diary” at the Upright Citizens Brigade has been a part of Riot LA, WICF 2017 and the New York Comedy Festival. 1500 yen incl free house drink for 8 or more comedians. It’s a real bargain! Also, make sure you try the tasty pub food from the Good Heaven’s staff! We have lovely fish and chips to enjoy while you’re watching the rising stars of Tokyo comedy. We are proud to say the event is no-smoking, but you can smoke outside the venue during the break in the middle.